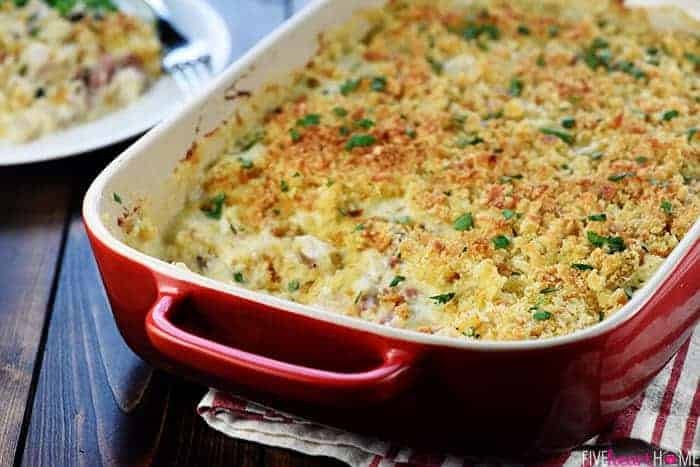 Cordon Bleu Casserole is loaded with chicken (or turkey) and ham in a creamy Swiss cheese sauce topped with a layer of toasty bread crumbs! 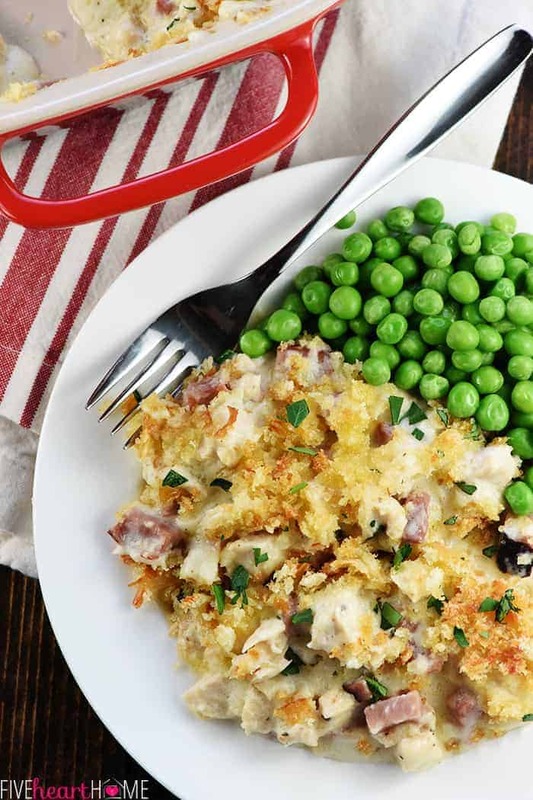 Today’s Cordon Bleu Casserole is the happy result of figuring out what to do with my Thanksgiving leftovers this past weekend. And it is so, so, so good, y’all. 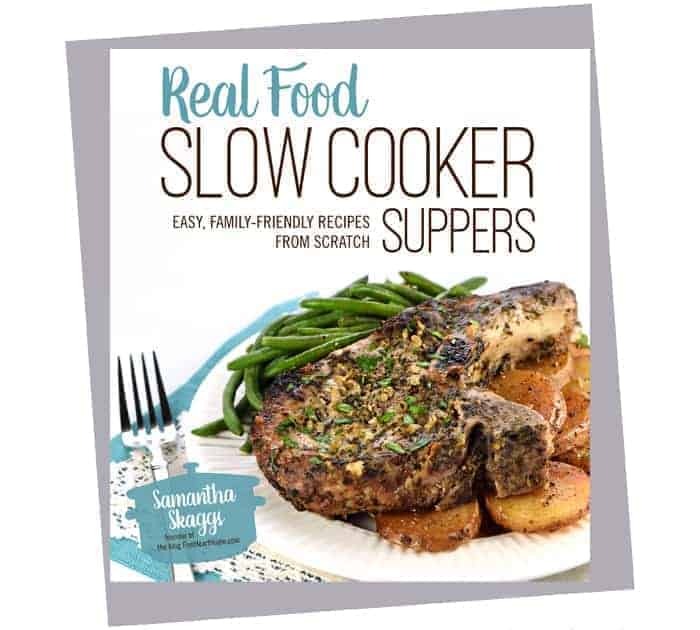 If you still have leftover turkey and ham, I’d highly recommend you give this one a try, even if you only have enough for a half-recipe. 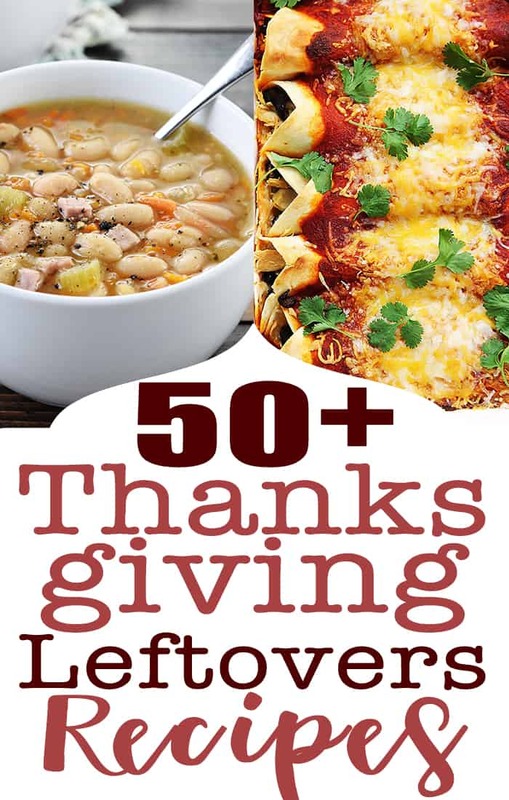 If you’ve already frozen your leftovers, pull up this recipe when you thaw them. 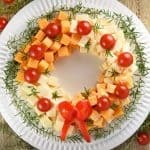 And if your leftovers are long gone, keep this recipe in mind for the day after Christmas. Or buy a rotisserie chicken and a hunk of ham and give it a whirl any time you like! Chicken Cordon Bleu was one of my favorite things to eat growing up. 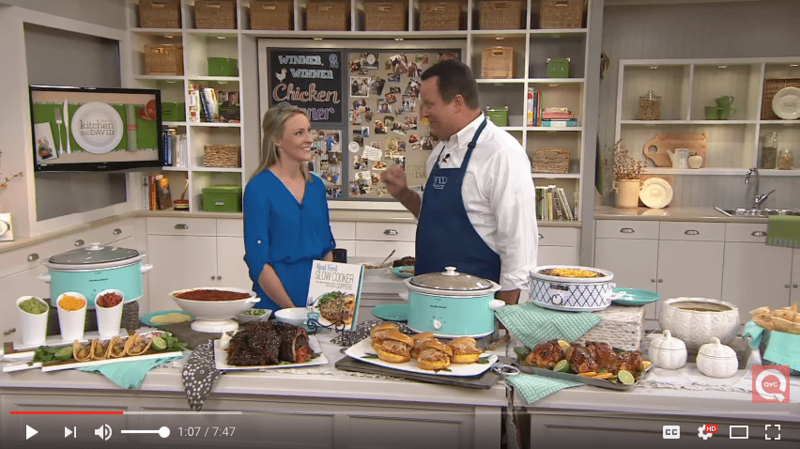 And while it’s not particularly difficult to assemble, pounding and layering and rolling and pan-frying can be a bit time-consuming, so I don’t find myself making it very often as a busy mom with three kids. But I still adore it. 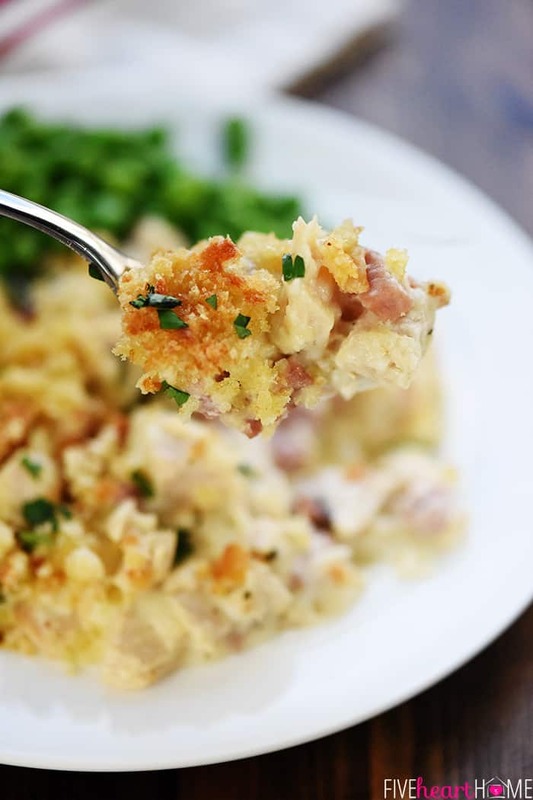 In fact, I developed a recipe for Chicken Cordon Bleu Soup for my cookbook (which has actually turned out to be one of my favorite cookbook recipes) and now I’ve adapted a dish I found in my mom’s recipe files years ago: Cordon Bleu CASSEROLE! You’ll notice I didn’t title it Chicken Cordon Bleu Casserole, because I actually made it with my aforementioned leftover Thanksgiving turkey. I assure you, it’s absolutely delicious either way. And have I mentioned how easy it is to throw together? Quickly cube up come chicken (or turkey) and ham. Then make a simple stovetop bechamel sauce using butter, flour, and milk — basically a white sauce that’s much easier and less fancy-schmancy than it sounds. After the bechamel is thickened and silky, gradually stir in grated Swiss cheese. I highly, highly recommend Gruyere if you don’t mind splurging a bit…your cheese sauce will end up smelling just like Swiss fondue, another favorite from my childhood. Can you tell I was raised by a European mother? Ha. 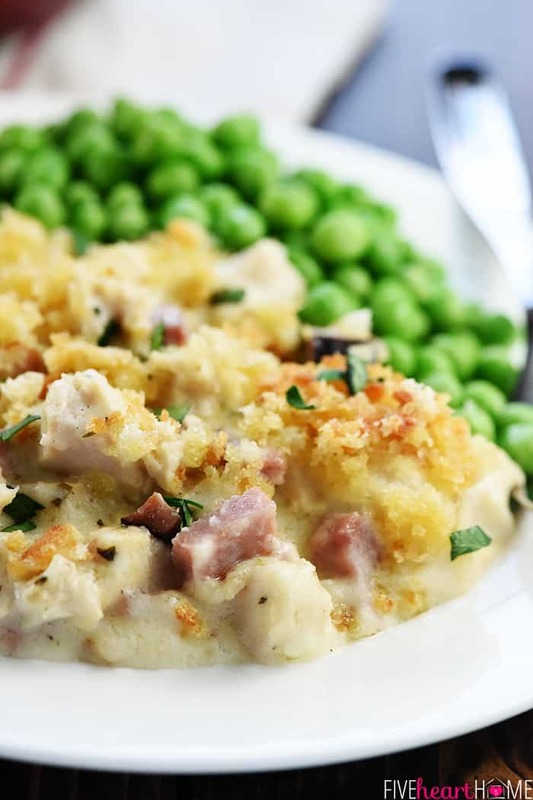 Combine the chicken/turkey and ham with the Swiss cheese sauce in a baking dish. 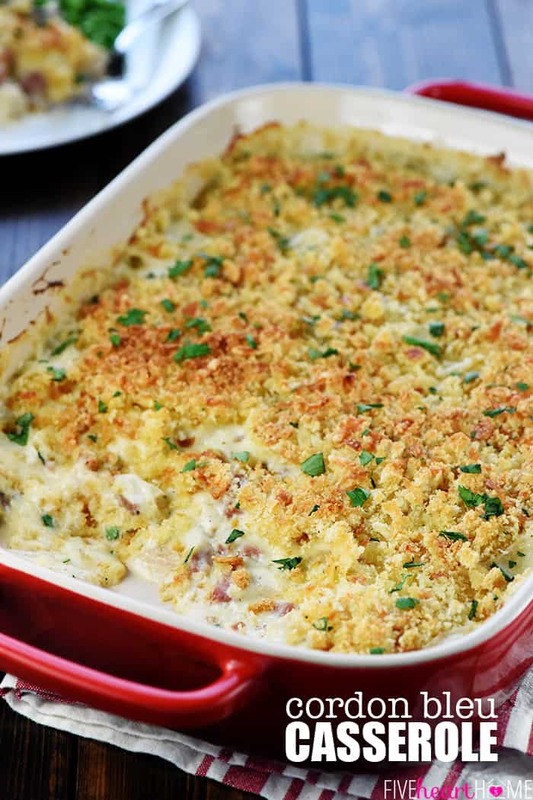 Top that glorious deliciousness with a mixture of breadcrumbs and a bit more grated cheese, then drizzle with butter. Finally, bake until golden and bubbly! 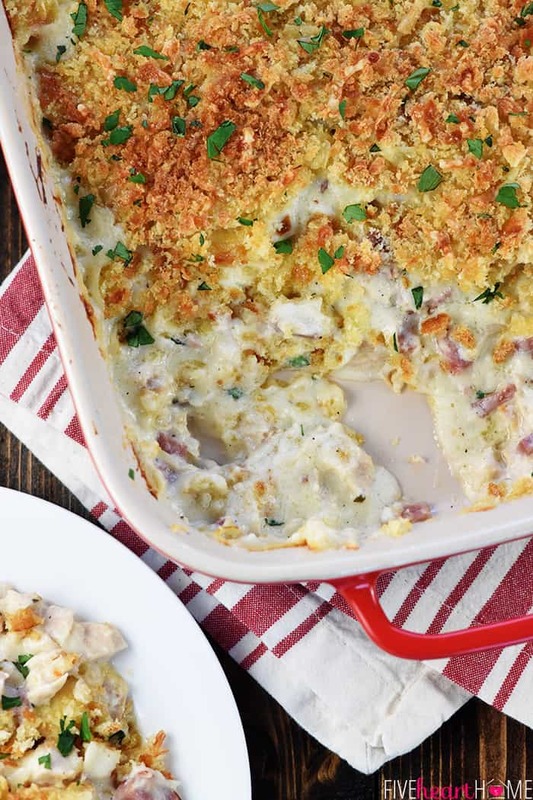 I can’t even describe how scrumptious this Cordon Bleu Casserole is, friends. Rich and decadent, indeed, but worth every calorie. In fact, it’s so amazingly flavorful that my family forgot it ever started with leftover turkey and ham. What Thanksgiving leftovers? 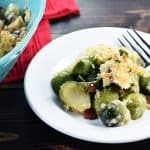 While I can’t imagine making this recipe without Gruyere, I realize that not everyone adores the flavor of Swiss cheese, particularly certain kiddos. So you could swap out the Swiss for your favorite cheese…cheddar, gouda, or even pepper jack. 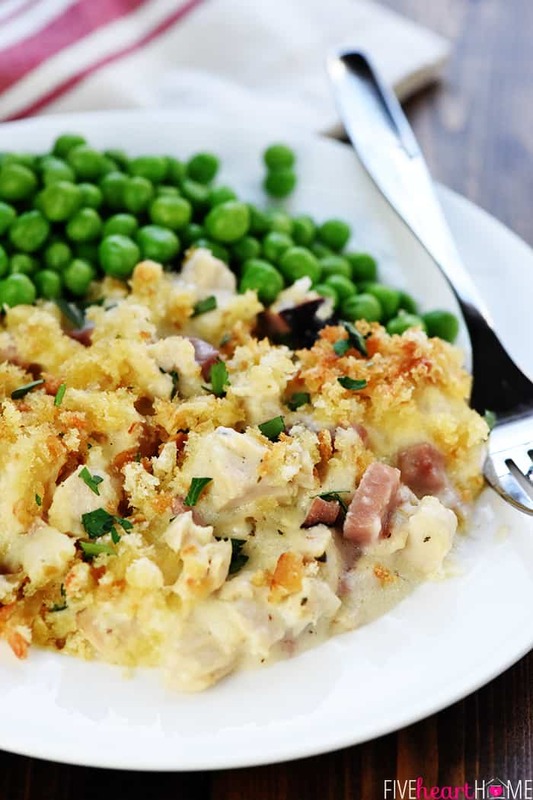 You can basically think of this recipe like mac & cheese with poultry and ham instead of the pasta.? Feel free to play with the cheese! Along the same lines, you can add veggies to this dish. Thawed frozen peas or broccoli florets would be yummy. 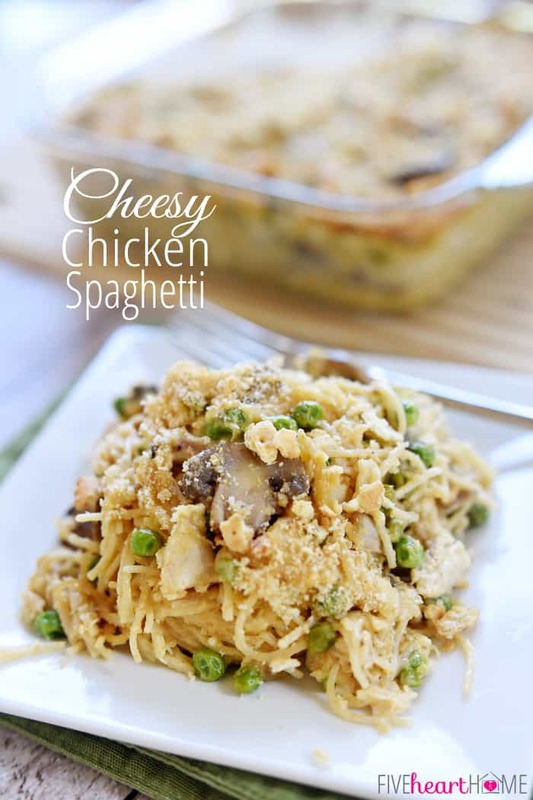 You could even add egg noodles to this recipe. 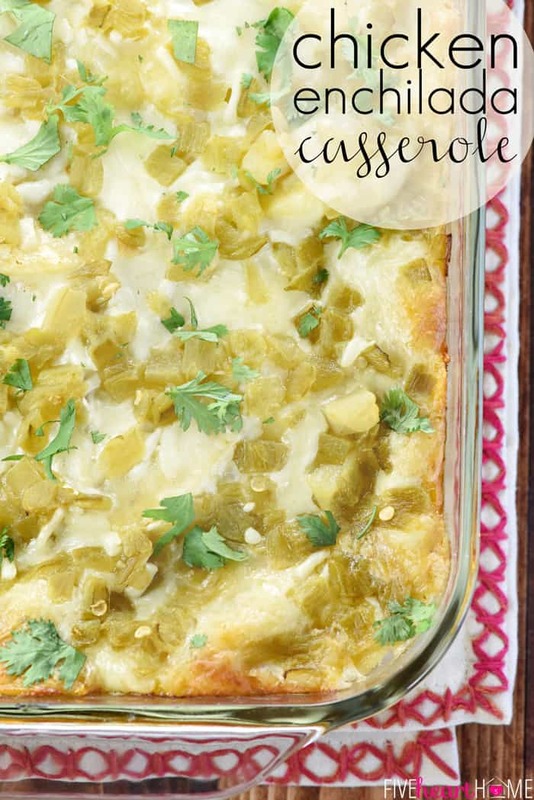 Just be sure to account for the extra volume with a larger baking dish and an increased amount of cheese sauce (1.5 to 2 times the original amount, depending on how much pasta you add); otherwise you may end up with a dry casserole. 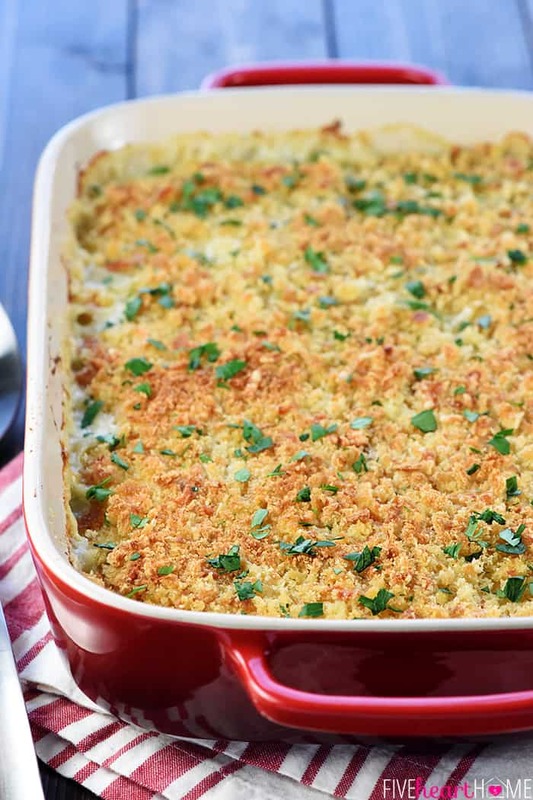 The breadcrumbs on top are also flexible. I had a stale loaf of French bread that I didn’t end up needing when I make Thanksgiving stuffing last week, so I threw chunks into my mini food processor and made fresh breadcrumbs out of that. You could also use leftover holiday dinner rolls. But homemade or store-bought dried breadcrumbs (or even panko breadcrumbs) would work as well. Don’t be afraid of the cheese sauce! The key is patience and constant whisking, but overall, it comes together easily and pretty quickly. If you step away for a moment and come back to realize your sauce has stuck to the bottom and burned, don’t panic! All is not lost…yet. 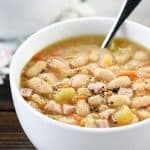 Quickly pour the sauce into a new pot — without scraping the brown stuff stuck to the bottom of the first pot — and proceed with the recipe, resolving not to walk away this time. 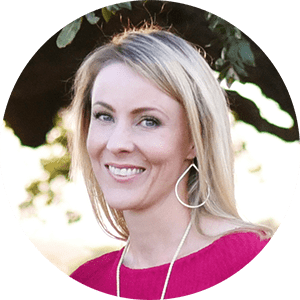 Ask me how I know…? Also exercise patience when stirring the grated cheese into the white sauce. Once the sauce is thickened, remove the pot from the burner and stir in the cheese 1/4 cup at a time until completely melted. Then stir in the next 1/4 cup of cheese. This will prevent lumpy sauce. How much salt you add to the cheese sauce depends on how salty your chicken/turkey/ham are to begin with. The turkey I used was not brined and the ham was not overly salty, so I used 1/2 teaspoon salt and it was perfect. 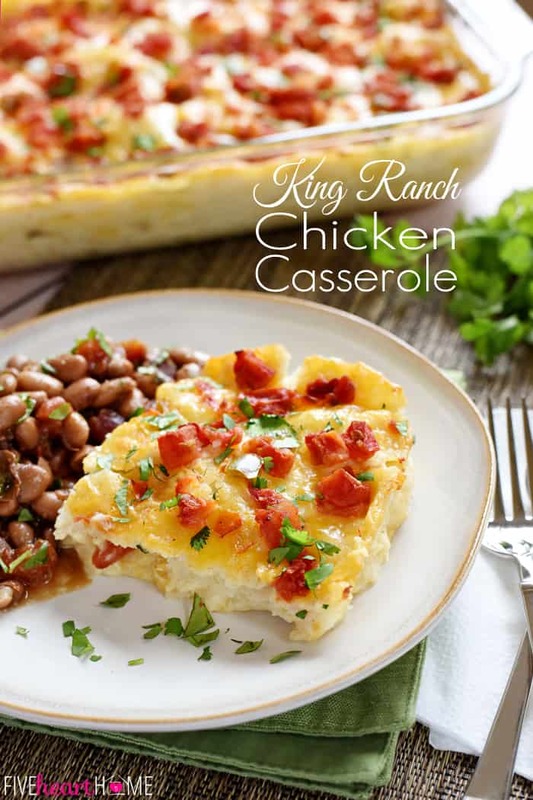 I prefer making this recipe in a 2-quart baking dish with a greater surface area for scattering my breadcrumbs (for example, a shallow rectangular baking dish as opposed to a deep square one). Place rack in center position of oven. Preheat oven to 350°F. Grease a 2-quart baking dish or spray with nonstick cooking spray. Add the chicken/turkey and ham to the baking dish and set aside. In a medium saucepan set over medium-high heat, melt the butter. Add the garlic and sautee until fragrant. Add the flour and and cook for 1 to 2 minutes until bubbly but not brown, whisking continuously. 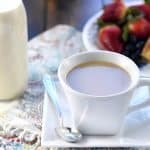 Gradually stir in the milk, rapidly stirring until smooth. Bring to a simmer and cook, whisking continuously, for a 2 to 3 minutes until the sauce is thickened. Remove the saucepan from the heat. Stir in the salt, garlic powder, mustard powder, nutmeg and pepper. Then whisk in the cheese, 1/4 cup at a time. Stir the cheese until completely melted before adding the next 1/4 cup. Pour the sauce over the chicken/turkey and ham in the baking dish and toss and stir to coat. Combine the breadcrumbs and remaining grated cheese in a medium bowl. Sprinkle over the casserole. Evenly drizzle the butter over the breadcrumbs. Bake, uncovered, for 30 minutes or until golden brown and bubbly. Allow to sit for a few minutes before serving. Sprinkle with fresh parsley, if desired. It sounds deliciòus and I have frozen leftover turkey ready to go. I’m definitely trying this one. Love the way this sounds! I’m also glad it has no pasta or rice. Thanks for sharing!